This Elvis Presley biography Priscilla’s Graduation page is dedicated to providing quality Elvis Presley biography information, pictures and articles for your entertainment. 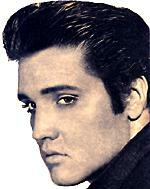 The contents of this Elvis Presley site is written by a fan for his fans about Priscilla’s Graduation. Priscilla’s graduation was drawing closer, all the hard yards where done and now for her rewards. Her hours of study and sleepless nights were to become just a memory. Priscilla didn’t expect Elvis to show much interest in her big day, as his attitude towards graduating and receiving a diploma was not as important to him as life’s experiences. But much to Priscilla’s shock, it turned out Elvis was quite excited and looking forward to her big day. Elvis organized a party for after the graduation inviting many of their friends, then handing Priscilla the keys of her very first car, which was a red Corvair. Elvis seemed to very nervous with what to wear to the Ceremony, but finally decided to go in his dark blue suit. Priscilla wore a navy blue gown. Although Priscilla wanted Elvis to be with her, she also had a problem with him being at the actual presentation as it was a night for the graduating seniors, with Elvis being present all eyes would be on him taking the attention away from the graduates. Priscilla felt it was best to mention the situation to Elvis, asking him to wait outside the Ceremony. Elvis looked at Priscilla with a smile, but with this curtain smile there were the feelings of hurt or upset, nevertheless Elvis agreed to stay out side and wait in the limo. After Priscilla received her diploma, many mixed emotions were flowing through her mind, firstly how she would have loved Elvis to have been there to see her except her diploma, rewarding her for all her efforts.But then Priscilla was really the only one who knew what strain it had on her in achieving this very important piece of paper. Also having her diploma meant her freedom, from wearing school uniforms, no restricted time with sleep or time to get up. She felt a huge relief, because now Priscilla was also able to be with Elvis anytime of the day. 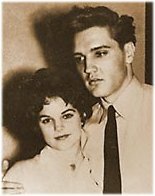 As soon as it was possible Priscilla rushed outside to Elvis, he put his arms around her telling her how very proud he was she had graduated. With Priscilla graduating, her whole world would change. It would now allow her to Spend extra time with Elvis; sometimes they would shut themselves away for days, dismissing the world beyond his bedroom door. Elvis would have it clearly understood he was not to be disturbed unless there was an emergency, or his daddy. Priscilla was in her glory, for now Elvis Presley was in her company and she didn’t have to share him. When they got hungry or wanted food, Priscilla would make a call to the kitchen to order. When the order was completed by the kitchen staff, the meal would be placed outside the bedroom door. Then after their meal, the empty dishes were placed on the outside of the door to be collected by the staff. While Elvis had a few months off with no filming in Hollywood, they were able to just relax and enjoy one another’s company; everyone would respect the couple’s privacy. They wouldn’t see a soul, not even daylight. Elvis’ bedroom never let in the daylight; he had his windows covered with tin foil, and the curtains were lined with a heavy blackout material to prevent any sunlight entering the bedroom. This room offered Elvis and Priscilla the privacy they didn’t have in other parts of the mansion; this room seemed to be the only time their love for one another was truly felt. Elvis and Priscilla valued this room for other reason also; Elvis could escape from what the outside world expected of him, they both valued the love and attention they were able to express to one another. Sunday mornings were a very special time for them both, they loved to listen to the gospel singing and watching old movie classics, other times they would play hide-and-seek, on other occasions enjoy a pillow fight. In their private suite they could be or act how they wanted, sleep, watch TV, eat, enjoy loving one another without interference of, cameras, photographers, reporters or the guys. It was their time and nothing else would matter. The Elvis Presley biography contents are solely the opinion of the author and should not be considered as a historical fact or authority on the facts. The author and the Publisher of Elvis Presley biography assume no responsibility or liability and specifically disclaim any warranty, express or implied for any products or services mentioned, or any techniques or practices described. The purchaser or reader of this Elvis Presley publication assumes responsibility for the use of these Elvis Presley biography materials and articles and information. Neither the Elvis Presley , author nor the Elvis Presley Publisher assumes any responsibility or liability whatsoever on the behalf of any purchaser or reader of these Elvis Presley , materials.